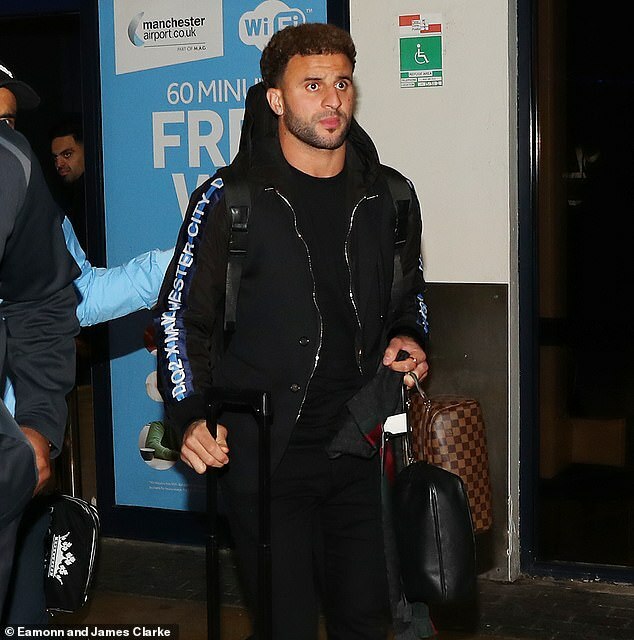 Pep Guardiola and his Manchester City stars have arrived back home with smiles on their faces after they secured their place in the knockout stages of the Champions League. 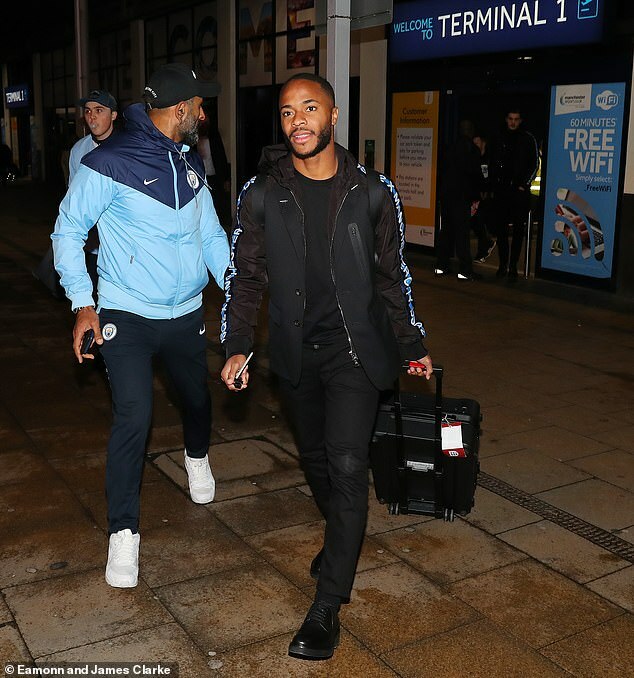 The reigning Premier League champions looked jovial as they were dressed head to toe in their blacked-out Dsquared2 travel outfits which have become synonymous with Guardiola’s men on European away days. City had to come from behind twice on Tuesday evening when Maxwel Cornet netted his second goal of the game in the 81st minute but it was Sergio Aguero who popped up with an equaliser two minutes later to see City qualify for the knockout stages. Guardiola complimented the Ligue 1 side following the draw as he felt Lyon were a step up from domestic opponents and insisted that the game should serve as another reminder of how tough competing in Europe can be. The City manager said after the game: ‘Today the Champions League showed me again that it’s a different competition, the players are better, the demands are so high. ‘They have weapons on set-pieces, defensively are so strong, they have quality up front. When people say it’s easy for the Champions League, you cannot imagine how confused people are. ‘After losing the first game, here was not a surprise. ‘But in February we’ll be there, another year for City. We can focus on the Premier League and try to compete against the best teams in Europe when February comes. Guardiola, who twice won the Champions League as Barcelona coach, feels the demands are completely different from the Premier League, which City won comfortably last season. He said: ‘You don’t have time. You can lose games in the Premier League and still have 38 games. Here there is huge quality for 180 minutes. City will now turn their attentions to Bournemouth for their Premier League encounter this Saturday.